Press Secretary Sean Spicer quit after the hiring of financier Anthony Scaramucci. Donald Trump also fired his FBI director, undercut his Treasury secretary and regrets his attorney general pick. Just as U.S. employers wrestle with labor participation, so too does the president. 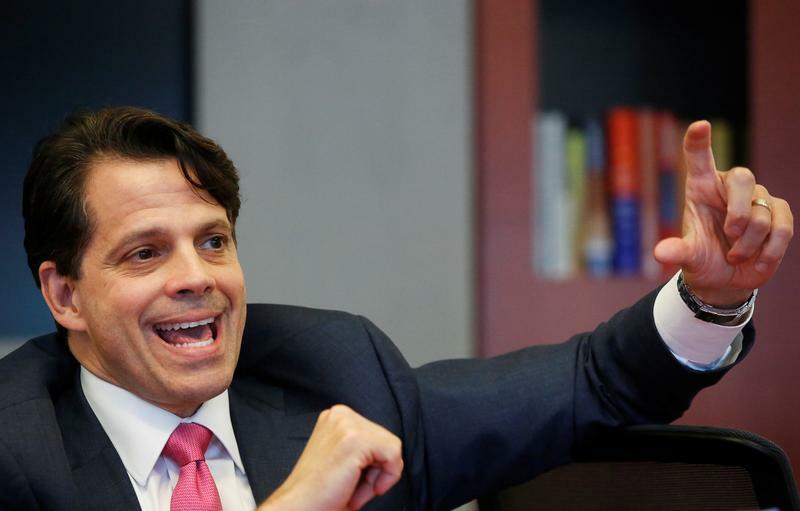 Anthony Scaramucci, Skybridge Capital founder and Donald Trump finance committee member, speaks during an interview in New York, U.S., October 6, 2016. Picture taken October 6, 2016. White House spokesman Sean Spicer resigned on July 21, according to the White House. Spicer opposed the appointment of SkyBridge Capital founder Anthony Scaramucci as President Donald Trump's communications director. The position has been vacant since Michael Dubke resigned in May. Scaramucci, a former Goldman Sachs banker, has been working in a senior role at the U.S. Export-Import Bank. After Trump was elected in November, Scaramucci was discussing a White House job as a liaison with the business community but it was never finalized. To prepare for that role, SkyBridge announced in January that it would sell a majority stake in itself to RON Transatlantic EG and HNA Capital, a Chinese firm.